This essay, Zen Of Laundry, is the companion piece to A House On Franklin Street. I am indebted to Susie Fitch Kralj who inspired this conversation. The thing about doing the laundry or the thing about washing the dishes so that it's good enough or merely OK, is not just that it's not good enough and not OK, but that doing it that way misses the opportunity to go beyond good enough and beyond merely OK, to the sublime expression of Zen. It'll take a fresh reaching, a certain heart to not stop at good enough and merely OK, and to shift instead to the expression of Zen that's just so, perfect, impeccable. Why? Why bother? There's no reason. The laundry will get done either way: good enough and merely OK, or just so, perfect, impeccable. There is always, however, an opening, an opportunity which calls for perfection, for impeccability. So again, why should I bother with this opening? Why should I take that opportunity? Because it's possible. Because I can. There's no other reason for doing anything perfectly, impeccably - especially laundry. Doing the laundry just so, perfect, impeccable, is a training ground for living all of life this way, the practice for doing everything just so, perfect, impeccable. In this scenario when I do the laundry, no one's watching, no one's grading or rating me. An opportunity to do the laundry just so, perfect, impeccable, is an opportunity to do it that way for no reason. No one will even know I did it that way. But I will. I'll know. I'll know if I'm getting away with good enough and merely OK. Here's my thesis: doing the laundry just so, perfect, impeccable is actually ordinary and normal, yes? What the opportunity at hand in doing the laundry is, is not stopping short of doing it just so, perfect, impeccable. The opportunity in doing the laundry is doing it without stopping at good enough and merely OK. Anyone can stop at good enough and merely OK. Anyone can stop there - that is, anyone can justify stopping there, particulary if no one's watching. So exactly what is "just so, perfect, impeccable"? There isn't a better place, there isn't a better research laboratory (if you will), there's no better opportunity to experiment with, to inquire into, to investigate what "just so, perfect, and impeccable" is, than in a laundry. Show me how you do your laundry, and I'll tell you the state of your closets. Show me how you iron and fold your laundry after it's washed and dried, and I'll tell you how you make love. Laundry's either folded just so ... or it's not. It's either perfect ... or it's not. It's either impeccable ... or it's not. There's no reason for doing it that way. There's no reason for doing it just so, perfect, impeccable. That's the Zen of laundry, a Zen calling for the opportunity to not stop at good enough and merely OK, and to do it just so, perfect, impeccable, for no reason - especially if no one's watching. In the basement of Werner's home, the laundry area is immaculately laid out and well stocked. In the busy-ness of a life, if a system is in place and occasions for doing the laundry are scheduled, it obviously serves people. It serves you, just as it serves me, just as it serves Werner. This is what's not so obvious: there's also an opportunity to assist with a seemingly menial task like doing the laundry just so, perfectly, impeccably, which serves everyone fortunate enough to assist here. 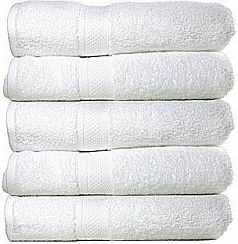 It doesn't matter if you don't get why each towel has to be folded just so, perfectly, impeccably. If you aren't willing to fold each towel exactly right-angled and congruently overlapping, then you don't get to assist Werner with laundry anymore. And if you do get this, then you already know that what you take away from doing the laundry, has the power to transform the quality of your entire life - from good enough and merely OK, to just so, perfect, impeccable.